Christmas is over, the decorations have been stored away and the festive fun has faded. It’s hard to keep those wintry blues at bay in January, but there’s no better pick me up than a villa holiday. Prepare to be amazed by exotic beaches and inviting blue oceans. Jet off to paradise locations which boast January temperatures of up to 26°C, offering the chance to relax and recuperate or explore and discover. Dive into some of our top picks for your January villa holiday. You could be starting the new year in style. As the January blues linger back home, escape the doom and gloom with a villa holiday. You could be topping up your tan on an alluring beach in Barbados, bathing in inviting crystal waters in Jamaica, or exploring the cultural beauty of Gran Canaria. Start the year by making your January holiday dreams a reality. You’ll return feeling rejuvenated and refreshed, with memories that will bring a smile to your face for years to come. The temptation to return will be hard to resist. 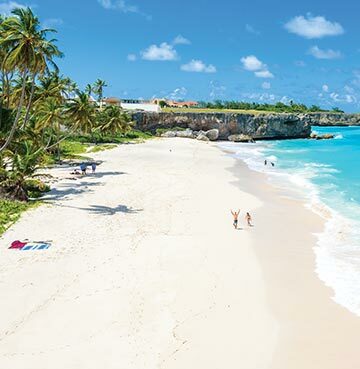 January is one of the best months to visit the bustling Caribbean Island of Barbados. Average temperatures of 26°C offer all the vitamin D and winter warmth you could want, with less rainfall and humidity than other times of year. It's well known for offering something for everyone, from the stunning gardens and golf courses of the Royal Westmoreland Estate, to the golden beaches and watersports of Sandy Lane. While Schooner Bay boasts luxury and tranquillity among historic buildings and local shops. The welcoming locals promise plenty of lively experiences. Sway to the Caribbean rhythms of the island’s music, or sink your teeth into the tantalising local dishes. Create memories that last a lifetime on your Barbados getaway. An island this idyllic is hard to forget. 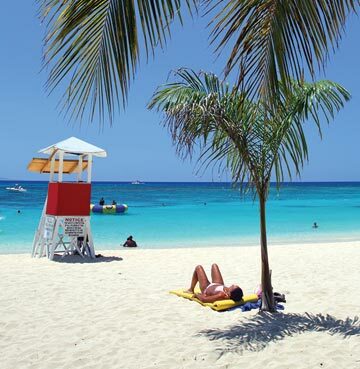 Jamaica offers temperatures of 25°C in January, meaning it is your perfect getaway destination. Jet off to this paradise and make your holiday whatever you want it to be – adventurous or relaxing, or a mix of both! The island is a cocktail of some of the world’s best beaches, alongside rugged green landscapes, thrilling watersports and lively nightlife. Sat on the north west coast, the Half Moon Resort is home to its own private beach. Montego Bay is only a fifteen minute drive away where you can make the most of the amusement park and golf courses. The Blue Mountains offer unforgettable views of vast scenery which promise to take your breath away. As the sun sets, immerse yourself in Jamaican culture and relax to reggae notes in the warm evening breeze. 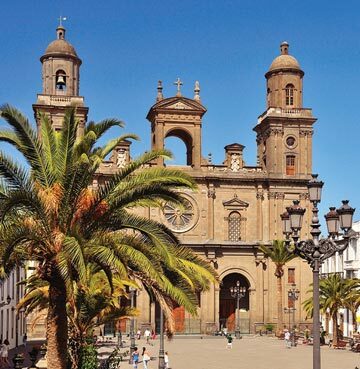 Gran Canaria may be small, but it’s packed with personality. Its lush rolling hills sit close to inviting golden beaches, creating a beautiful clash of colours, with temperatures sitting at a warm 21°C in January. Whether you're looking for a relaxing getaway, a romantic break or a family holiday, the island will have the perfect villa for you. Salobre Golf Resort is surrounded by impressive green landscapes, with the beach at Meloneras just a short drive away. The island’s National Park is the home of Maspalomas, with a tranquil lagoon and plenty of entertainment for families. The bright city of Las Palmas is never too far away, offering the perfect place to shop or enjoy a taste of Spanish tapas. Gran Canaria promises to leave you in awe of all the island has to offer! Fancy heading away a little earlier? Check out our December villa holidays guide. Or perhaps one of our February villa holidays sounds more appealing?